What is the main subject of the poem? What observations can you make about the language used in the poem? Can you connect the poem to any contextual information you might know? How are you positioned by this poem to view the subject? Teachers might ask students to formally write down their reading of this poem as a homework task. Jack Davis – contextual study. Davis made no secret of his close connection to the subjects that he wrote about. As a class investigate the many elements of his life that inform his dramatic works. A broad search of his life should connect students to topics such as the Moore River Settlement, the Stolen Generation, Nyoongah Heritage, Aboriginal Lands Trust WA, the Oombulgarri Massacre, A. O. Neville, and the 1905 Aborigines Act. Divide the class into small groups to investigate such topics to gain a broader understanding of Davis’ context. Class wiki/blog – character names. The names of characters contribute significant ideas to the play. Establish an online area for students to contribute ideas about the characters’ names. As the study of the play continues you might add further notes about characters, or other narrative or dramatic devices. Investigation: Nyoongah country and language. The glossary located on pages 107–10 is a vital tool to understanding the play. As a class, discuss the function of Nyoongah language within the play, remembering that audiences in the theatre would not have this, but they would have the actors’ delivery and movement to help them understand Nyoongah words. If students are unfamiliar with the location and traditions of Nyoongah people, as a class investigate the geographic area of the south-west of Western Australia that are traditional Nyoongah areas. Also investigate traditional myths and totems. What issues are raised in the first moments of this play? What elements of symbolism are relevant to understanding the drama? Contextually, what appears to be critical to an audience’s understanding? What is your initial response to this scene? Class discussion: Binary oppositions Act 1 Scene 2. Explore the cultural studies concept of binary oppositions, drawing examples from popular culture or obvious historical constructions. Apply this theory to Act 1 Scene 2 and consider how the oppositions are made clear to the audience, as well as their effect on the audience. Two to Tango: remembering the narrative and dramatic elements of drama.When studying a drama text it is critical to emphasise that both narrative and dramatic devices must work together for the text to exist. Narrative elements such as plot structure, characters, setting, themes and symbolism are essential to the story that is being told while dramatic elements such as staging, costumes, lighting, sound effects and directions enable the telling of the story. Allocating ‘experts’ (class members) for different elements of the text’s construction can help to ensure no aspect of the text is forgotten while reading or discussing the text. Group activity: plot study. No Sugar’s plot structure is quite traditional in that there is an obvious complication, series of events, climax and resolution (as well as an implied coda). This is worth mapping as a class activity but a more helpful exploration of plot would be the concept of journeys. Throughout this play the plot is influenced by enforced journeys that the Millimurra and Munday family members must undertake. In groups of three, students should try to track the many journeys of this play and create a mud map between Perth, Northam and Moore River detailing the different journeys and the main ideas associated with them. Students might choose to represent this with words or through images. Ask each group to explain their map to the rest of the class and display them for the duration of studying the text. Class wiki/blog: characters and symbolism. Return to the shared space created earlier to document comments about the characters’ names. Again, ask students to add all they can to their understanding of characters, based now on narrative and dramatic conventions. Some of the categories for them to note are totems and ritual engagements, experiences, sound effects, costuming and props, stage directions. Discussing dichotomy. In small groups, or individually, students should select a character from each side of one of the specific oppositions or dichotomies constructed in Act 1. The task is to present an oral and/or visual presentation that explains the differences between the characters’ backgrounds, ideologies, experiences and levels of power, and also how they are constructed through the play by staging, symbolism, dialogue and so on to represent certain ideas or attitudes. Postcolonial historical perspectives – investigating A. O. Neville. During the time that Davis was writing No Sugar Australian historians began re-examining events of Australia’s colonial past, as well as the way these events were recorded. With the distance of hindsight most people began to agree that the ideology of colonialism had led to regretful events in Australia’s past and had also created government policies and historical records that were racist – at best paternalistic. A. O. Neville is a figure whose record has been re-examined through the postcolonial lens and this has led to his critical characterisation in this play, as well as the novel Follow the Rabbit-Proof Fence and the feature film Rabbit-Proof Fence. Investigate A. O. Neville’s views by reading his speech to the Western Australian Historical Society and then look at some of the historical accounts about Neville as a government official. It might also be helpful to look up the terms segregation, assimilation and paternalism. After this, consider the representation of Neville in No Sugar and selected scenes from Rabbit-Proof Fence. Write a summary of which of Neville’s views and actions of postcolonial thinkers would object to and why someone like Davis would choose to present the character as he does in No Sugar. What are the main features of this tradition? What are some examples of other writers or performers working with it? Can you locate scenes where this tradition is evident in No Sugar and explain how it is employed? What does this tradition lend to the performance or the audience’s understanding? Once all presentations are complete, consider Dennis Carroll’s article and discuss his use of the term ‘Aboriginality’ as a theatrical style on page 101. Students should write a response to the question: Should Davis’ theatrical style be described as ‘Aboriginality’? Use specific examples from No Sugar to support your answer. Humour and pathos. In this play Davis combines the funny side of life with the tragic. This is a common literary construction to communicate the complexity of the human condition. In Davis’ work the comic is often the result of Aboriginal characters’ mimicry of bureaucratic figures or processes, or even parodies of white practices. Embedded within such scenes is the tragedy and absolute opposition that is part of the colonial predicament. As a class, locate examples of such scenes and look closely at how language and stage devices create humour and pathos in Act 4 Scene 5. Student activity: perambulatory performance. The first performance of this play was perambulatory in style. With the students, map locations within the school grounds that could be used for the scenes. Considerations for a perambulatory performance would need to include distances walked, location of audience, natural features, obstacles and disturbances. After considering all of these factors discuss why this form of performance would be desirable. Things to consider would be the importance of journeys in the place (uncontrolled journeys or journeys made not through individual choice), as well as disruption of audience expectation and experience. Class activity: Characters and Power (PDF, 121KB). At the completion of the play, fill out the following table as a summary of the play’s ideas. Theme Characters Scenes Quotes/References What do you understand? Outline the comment that the play promotes about each theme Identify the characters who make this theme apparent to the audience Identify where in the play there are examples of this idea Record specific examples of lines, directions, etc. Describe the connection between what appears in the play and what you understand. Students may also locate other examples of symbolism from this scene or from other moments in the play. Some teachers may wish to locate examples of these things to have in the classroom while the play is being studied as visual reminders to students of the importance of the non-verbal elements of drama. Individual task: language and power. This play demonstrates how important language can be to demonstrating social power. In many scenes in this play language is used to dismiss, intimidate and dehumanise people, and take away their rights and possessions. This is the process of ‘othering’ – making it clear that some people are part of the dominant society while some are ‘other’, different, not of that same group. Read Act 1 Scene 7 and make a list of language used by each character to dismiss or diminish others. The focus here is on dramatic conventions relating to character – sets, lighting, and so on are not required. Focus instead on dialogue and action, though indicative costumes and props would be appropriate. As this is an oral task, students need to pay careful attention to their use of verbal and non-verbal oral language conventions. Assessment is not based on dramatic performance but the understanding of verbal and non-verbal elements of the drama and the oral presentation of these ideas. In one class period, students should be provided with a non-marked copy of Act 2 Scene 1. In this time they should read the scene closely and answer the question below in an essay-style response.Essay question: Explain how the use of dramatic and language techniques in Act 2 Scene 1 works to promote ideas about division and power to the audience. Postcolonialism and posthistory. Davis’ text is clearly embedded within the postcolonial discourse and it is important that students understand the historical evolution of the postcolonial perspective. It is not necessary to read this text through a postcolonial lens or construct a postcolonial reading; it is enough simply to understand that the play is informed by this theory and first performed to an audience aware of the issues and perspectives central to postcolonialism. Exploring other examples of postcolonial literature (described below) in a comparative study with No Sugar would help to make this theory clear to students.Davis prefers to use the term ‘posthistory’ to describe the position from which he understands his story. This term sees to separate time frames for the Indigenous experience with posthistory symbolising an end to the white historical perspective. This view also reconnects Davis’ contemporary context with the stories of Aboriginal culture that were dominant and highly valued before white settlement, placing himself as a continuation of Indigenous heritage and storytelling. Kim Scott’s work also continues this tradition, but without the element of protest that Davis includes. The Wirlomin Noongar Language and Stories Project, and the picture books published as a result of the project, could work as helpful illustrations of this storytelling continuation. If teachers choose to explore this concept with students, Wai Chee Dimock’s theory of ‘Deep Time’ could also be helpful. This theory looks at the ideas that predate the formation of nation-states and the cultural divisions that this entailed. It looks to the continuation of literary and cultural forms and ideas, regardless of imposed national descriptions. Regional Studies – Western Australian writers. 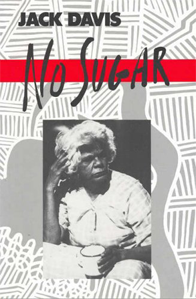 The specific inclusion of historical figures and events in No Sugar connects the drama to the policies and politics of Western Australia as a discrete region. It is not only this history that makes the play uniquely Western Australian. The play is placed within a literary and cultural location also – Western Australian writers of drama, poetry, literature and film have a particular setting that is represented in their work through language, structure and theme. It can be useful for teachers to consider ‘region’ within programming in seeking to liberate Australian literary studies from the project of nation building and the continual question of what an Australian text can tell us about being an Australian. Transnational perspective. Often we consider the style and content of Australian works to be unique or relevant only within the geographical confines of our island nation. Many of the considerations that our writers explore are, however, indicative of global concerns or movements and should be viewed within a global context. One important consideration for Davis’ work is that postcolonialism is a transnational movement – colonialism being a global project of the Enlightenment era. Placing Davis’ play alongside other postcolonial works from places such as Ireland, South Africa, India, Canada and the United States (to mention but a few) can help to reinforce the ideological interrogation that is central to texts such as No Sugar. Translations by Brian Friel (Stage drama) – This text is an example of a postcolonial play from Ireland. It is written at the same point in time as No Sugar and would assist students to understand the transnational connections between those disenfranchised by British colonialism. As a dramatic text it also offers helpful similiarities and differences to discuss the elements of dramatic writing and performance, and, like Davis, Friel focuses on the importance of language to cultural heritage and identity. ‘Act of Union’, ‘Digging’ and ‘Relic’ by Seamus Heaney (Poetry) – A small selection of Heaney’s most well-known poems, these three provide a focused comparison with the Irish experience under British colonial rule, as well as the cultural significance of time, language and land. ‘Prologue’, That Deadman Dance by Kim Scott (Novel) – Fellow Western Australian and Nyoongah man, Kim Scott, is a helpful figure to study alongside Jack Davis. Not only are there comparative possibilities in terms of region, Scott’s conceptualisation of the settler frontier on the south-west coast also explores the importance of language as a signifier of culture and power. To the Islands by Randolph Stow (Novel) – Stow is an acclaimed novelist and poet whose Western Australian writings can provide helpful comparisons through representations of historical events within fictional texts. This particular novel of Stow’s also represents the Oombulgarri Massacre of which Billy provides an account in Act 2 Scene 6 of No Sugar. Stow’s representation of Western Australian landscape would also provide many opportunities in a regional study. The Rabbits by John Marsden and Shaun Tan (Picture book) – This is a powerful allegory to assist the teaching of postcolonial perspectives. Explore allegory as an important literary device and ask students to attempt their own allegorical telling of a situation as an experiment of how carefully crafted the device must be. It also makes an interesting comparison to Davis’ employment of biblical lessons and figures, and the implied meanings that they carry. Rabbit-Proof Fence by Phillip Noyce (Feature film) – Considering Noyce’s visual representation of this narrative is helpful in providing an understanding of the context of Davis’ story. It raises many similar issues, but also depicts some of the same historical figures. Asking students to compare the representation of these figures and their construction would make a very constructive learning experience. Class investigation: heritage of protest. Many countries have well-recorded and popularised histories about protest. The American Civil Rights Movement, the Irish Troubles and Nelson Mandela’s (and the ANC) struggle against apartheid are all subjects for study and are featured heavily in popular culture. Australia’s traditions of protest, particularly in relation to Indigenous rights, are not as well popularised. Divide the class into groups to research the many moments of protest that have been critical to the advancement of Indigenous rights in Australia. Once this is complete, ask students to write a reflection about Davis’ place in this history. Comparative study – Australia and Ireland as colonial literatures. Often we consider Australia and Ireland as having close cultural connections due to the number of Irish people who settled in Australia. There are, however, close comparisons that can be made between Australia’s and Ireland’s colonial experiences and this is a common feature of the literature from both countries. Making this the connecting factor of a comparative study would present interesting opportunities for exploration. If programming allows a full comparative study between No Sugar and Brian Friel’sTranslations, at the completion of the study students could answer the following question in an extended essay: ‘Explore the way dramatic texts can present historical commentary.’ If a full comparative study is not possible, compare the opening two scenes of each play as a class and ask students to write a short reflection considering the similarities of how various social oppositions are portrayed in these plays. Response: essay task. Students should respond to the following question under conditions decided by their teacher, but consistent to the class: Discuss how the construction of characters helps to present ideas about power in No Sugar. Reconsidering your response. Our response to a text can shift and alter at different stages of a study. After their study is complete, students should write a summary of their response to the text as a class or homework task, assessing whether their reaction and understanding of the text altered through the process, trying to surmise what caused any changes. Below are some aspects of literary study that might inform and help provide structure for student responses. Which scene was the most powerful moment of the play for you and why? What is your most lasting thought about a character from the play? What would you like to think happened to the characters after the end of the story? If you had the chance, what question would you ask Jack Davis about this play? Response: issues article. Dennis Carroll wrote ‘[i]n drama, the concept of “Aboriginality” predicates the most important defining characteristic of content, namely political engagement; and most leading Aboriginal writers . . . [including Jack Davis] have in fact been Aboriginal rights activists.’ Construct a feature article that explores the role of playwright as activist and the importance of theatre to the discussion of civil rights. Composing: epilogue. While No Sugar is not the end of the story told by Davis in the trilogy of which the play is part, the play is usually performed as a solitary piece of theatre. Write an epilogue for this play that might resolve an aspect of the play or raise an additional question. Response: student debate. The year 1967 saw a landmark decision by the Australian people to redress the treatment of Aboriginal people in Australia through constitutional change. Part of the continual postcolonial program to rebalance the Australian Constitution is the proposal for another referendum to amend the recognition of Indigenous Australians in this foundational document of the nation. Read the ‘Background’ to this debate in the Law Council Association’s discussion paperand become familiar with some of the views expressed in the popular media about this topic by figures such as Marcia Langton, Taiaiake Alfred and Andrew Bolt. Teachers may decide to structure this as a formal or informal debate format but students should argue the statement that ‘Australia needs to alter its views on race’. Please note that AustLit is a rich resource for any study of Australian literature or of Australian writers. To access this online resource, you need to do so via your school library or through your own personal membership of your state or territory library service. Talk to your school or local librarian for more information. Dibble, B. and MacIntyre, M. ‘Hybridity in Jack Davis’ No Sugar’, Westerly, 37(4), 1992: 93–98. Duration This resource is intended as a guide for teachers to shape a teaching program. It is recommended that studying this drama in a comparative style should take between four and six weeks. No Sugar is a play with complex themes that is sophisticated in its construction, as well as its connection to other works of literature. The play also contains some situations that would not be appropriate to explore with younger students. Studying Davis’ stage drama within Unit 3 of the Australian Curriculum: English Senior Secondary course allows for close reading of the text as well as exploring important intertextual comparisons relating to style, construction, thematic similarities and contextual connections. CLAIRE JONES has been an English, Literature and History teacher in Western Australia and the United Kingdom. She has been a classroom teacher, Head of English, state examiner, curriculum writer and chief marker of Western Australia’s WACE English course. She has also taught at Curtin University in the School of Education and currently works as a researcher and instructor in Australian Literature at the University of Western Australia where she is also completing her doctorate in Literature.